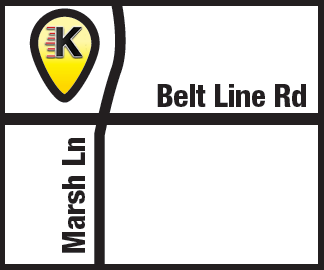 Kwik Kar Marsh is your neighborhood dealership alternative and provides free check engine light readings as well as full check engine light diagnostics. Cars and trucks have complex systems that need to all function well. When your car’s check engine light comes on, it’s a way your vehicle is telling you something is wrong. When the check engine light comes on, one or more diagnostic trouble codes are stored in the car’s computer. These codes will stay there even if the light goes out. 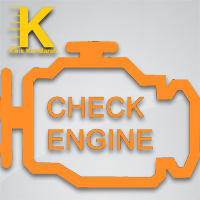 To address a check engine light issue, Kwik Kar Marsh mechanics can retrieve the codes by using an OBD-II scanner and then troubleshooting to find the problem. While some codes pinpoint the root cause of the issue, many do not. 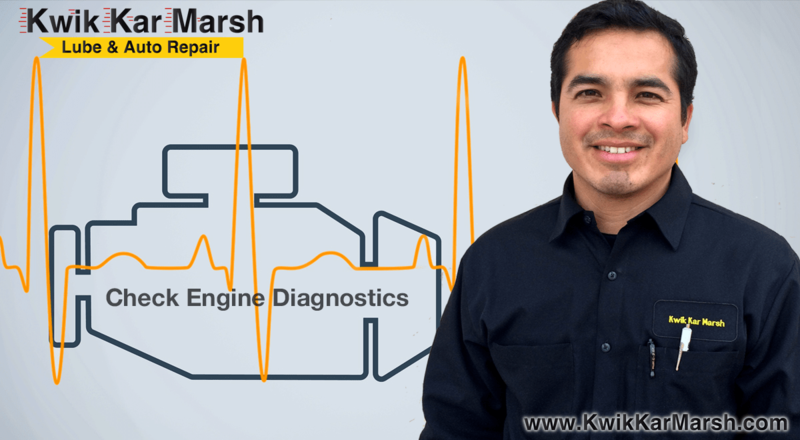 A check engine light diagnostic from Kwik Kar Marsh is a comprehensive step by step testing procedure that must be done in order to pinpoint the root cause of many diagnostic trouble codes. There are more than 3,000 generic fault codes in addition to manufacturer specific codes. Not all of them point to a clear solution. Kwik Kar Marsh has sophisticated car diagnostic tools that show the technician the state of your car’s sensors at the time of the fault or display live data. Those extra clues help determine exactly when a fault is happening and what else is going on with the car, but basic automotive problem solving is also essential here. You want to avoid replacing every part that could be malfunctioning and isolate the possible causes.